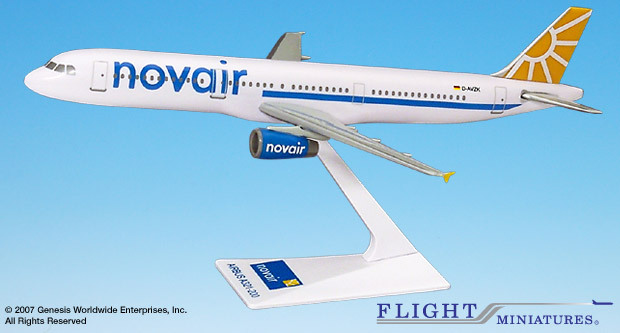 This model is presented in the latest livery for the Swedish charter airline Novair. The new livery was introduced in 2003 but did not appear fully painted on aircraft until 2004. The aircraft registration shown on this model D-AVZK was this aircraft’s delivery registration that has since been changed to SE-RDN.